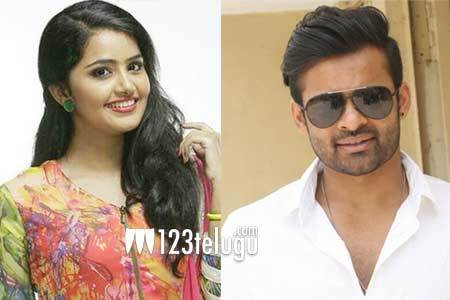 As reported yesterday, young Mega hero Sai Dharam Tej’s new film in Karunakaran’s direction was launched with a formal puja ceremony today morning. Senior producer KS Ramarao is bankrolling the project on his Creative Commercials banner. Now, the latest updates from the film’s unit reveal that happening young Malayali beauty Anupama Parameswaran has been roped in as the female lead in this as-yet-untitled film. Apparently, Anupama’s role will have a great scope for performance. Ever since her Tollywood debut, Anupama scored a hat-trick of hits with A..Aa, Premam and Shatamanam Bhavati. The actress will also be seen in Ram’s Vunnadi Okate Zindagi and Nani’s Krishnarjuna Yuddham.